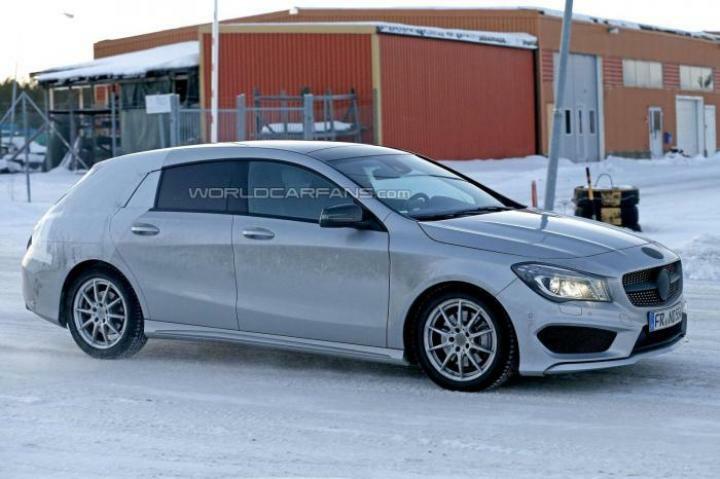 Once again, some spy shots of the upcoming 2015 Mercedes-Benz CLA Shooting Brake have surfaced on the internet. The latest ones of the most compact car from the company confirm that the car is going through some cold weather testing on the snowy roads of Sweden. The car will be positioned for small families and has will come shod with many utility features. However, it carries a stylish rear with larger doors and a newly designed tailgate with integrated spoilers. The spy shots even depict a diamond-pattern grille, sports bumpers and skirts, a large rear diffuser and cross-drilled front brake discs. It has many design similarities with its elder sibling, the Mercedes-Benz CLS Shooting Brake. These design elements will help the design to be similar to the other cars in the company’s stable. There will be no new engines developed for this car. 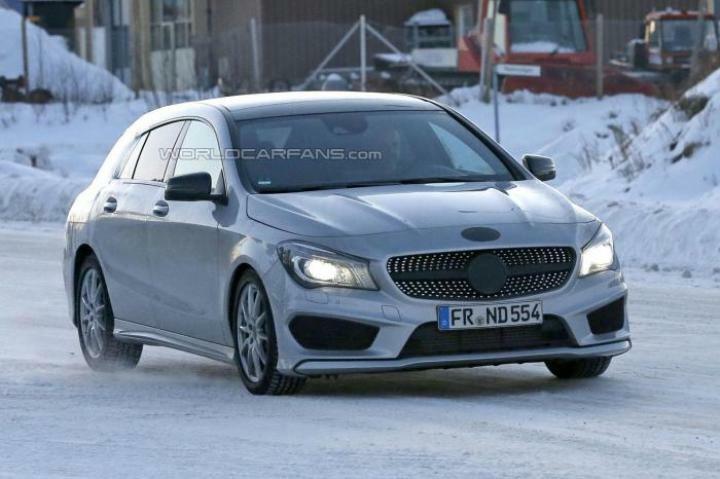 It will be borrowing engine options from the CLA sedan. So in all, you will have 3 diesel and 3 petrol options. Diesel options are 1.5-litre, 100 BHP; 1.8-liter, 136 BHP; and 2.1-litre, 170hp. On the other hand, Petrol options are a 1.6-litre, 122 BHP; 1.6-litre, 156 BHP and a 2.0-litre, 211 BHP engine. Apart from this, the German luxury car maker could also come up with another variant, namely the Mercedes-Benz CLA 45 AMG Shooting Brake. This variant will boast of a 2.0-liter four-cylinder petrol engine that can generate a maximum power of 360 BHP and a maximum torque of 450 Nm. The Shooting Brake variant may not come to India due to insufficient demand. 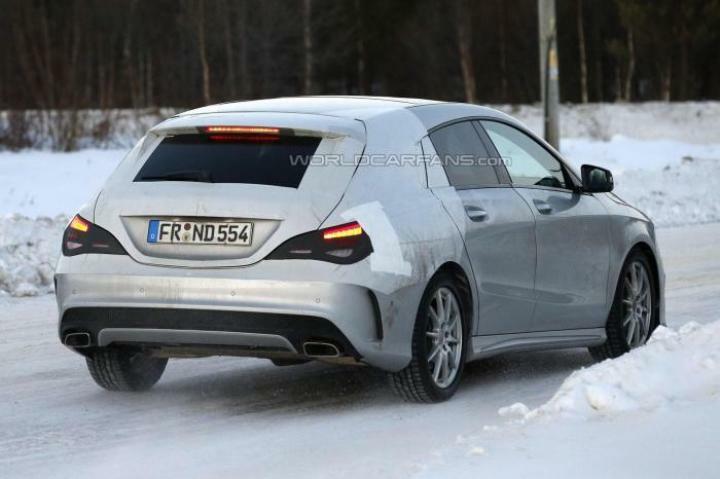 However, the Mercedes-Benz CLA sedan is expected to make its debut in the country by the end of 2014. If that becomes a popular car, there is a chance that Mercedes might bring this variant to India as well. We will have some more details of the launch in the coming months. Stay tuned with us to learn all the developments.